My First Thomas trains by Golden Bear are the ideal toy for preschool children and make a great introduction to Thomas & Friends. For over 25 years Golden Bear has been producing both safe and high quality toys which are known for their reliability. What makes these toys unique is their designed to suite little hands and ease of pushing along the floor. These train engines are very lightweight, colorful and very affordable and their actually very cheap considering how appealing and durable they are. Actually the My First Thomas Golden Bear trains are under priced considering their quality. Interestingly these toys are not sold in the United States; however, they are readily sold in the UK where they are very popular. These toys are suitable for children from 12 months and up. 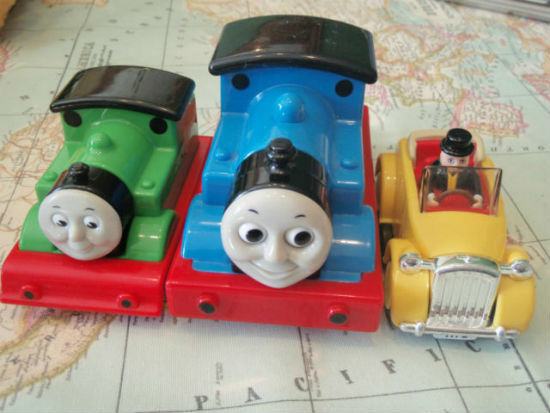 This particular range of brightly colored chunky and sturdy plastic toy trains; My First Thomas trains include the following colorful 25 engines to collect. 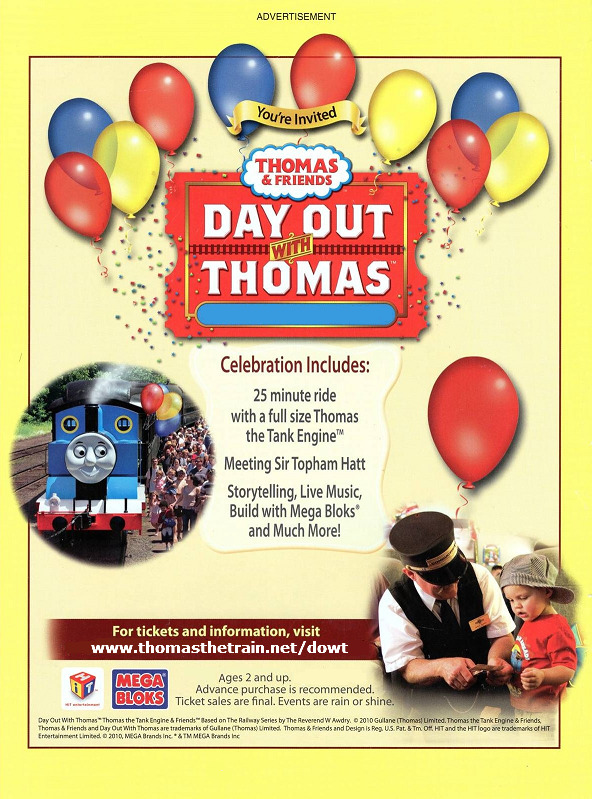 Golden Bear is no longer manufacturing the Thomas the Tank Engine line. This makes these trains highly collectable and sure to be worth something in the future. 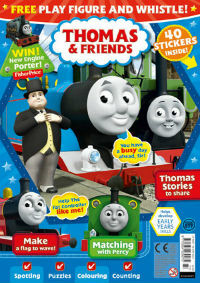 My First Thomas trains and the Talking Thomas and Friends are fantastic toys, very colorful and highly pleasing to children. Just a wonderful line of toys made by a great toy company. 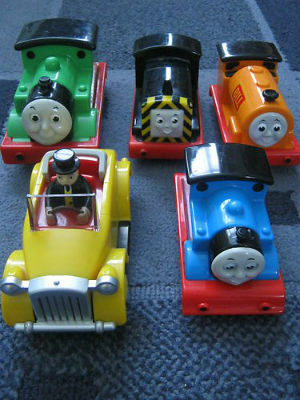 Thomas the Tank - Range of models - Trike, Scooter, Bike, Ride on and more!